USA/UK etc. Please msg us for a postage price. 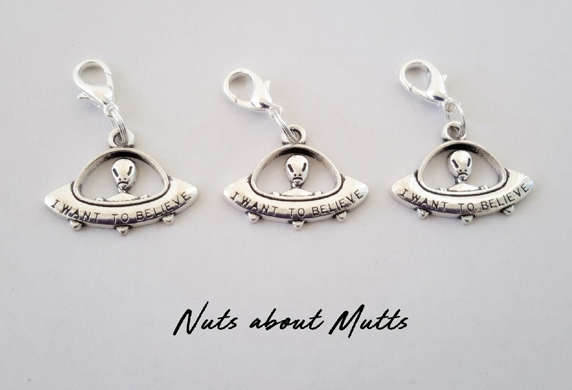 All metal alien/ufo themed metal charm with the words "I want to believe". Tough and well made, this charm will survive all weather conditions. Suitable for dogs, cats, humans. Size: Measured at widest points, excl. clasp). Postage within Australia per letter post without tracking at your own risk. USA/UK - per economy post without tracking.